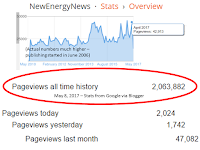 Here is the NewEnergyNews summary of the report. Peter Sinclair, the force behind Climate Denial Crock of the Week, needs support. Donate here. Life in the EV Trenches—A Report From Better Place’s Launch in Israel; Courteous customer service makes the Better Place experience work—in Israel, no less. “Photovoltaic capacity estimates for recent historical years (2009 and 2010) were updated to line up more closely with Solar Energy Industries Association (SEIA) and Interstate Renewable Energy Council (IREC) reports…Gulf of Mexico production data were revised downward to reflect data reported by the Bureau of Ocean Energy Management…Data in the electricity model were revised to reflect 2009 electric utility financial data…and refine the breakdown of associated costs between the generation, transmission, and distribution components. 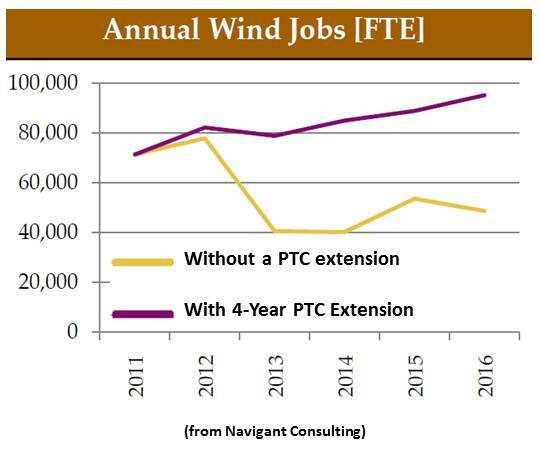 “An extension of the production tax credit for wind energy is needed as the nation looks to diversify its energy sources and avoid an over-reliance on any one type, House Majority Whip Rep. Kevin McCarthy, R-Calif., said…McCarthy, who launched the House Energy Action Team in 2011, said he has communicated his support for an extension of the production tax credit to the House Republican leadership, but his efforts have failed to gain any traction. McCarthy's support for the extension puts him at odds with some Republicans who believe more of a focus should be on controlling government spending and budget deficits. “…McCarthy said he supports an extension to the production tax credit as part of an all-of-the-above energy strategy…[but] that does not mean the federal government should give short shrift to other forms of energy…Congressional Republicans have criticized President Barack Obama for punishing coal…[with] new U.S. EPA clean air regulations…[that could] restrict construction of new plants…Heather Zichal, deputy assistant to the president for energy and climate change…said the president understands that coal will play a critical role for the nation into the future…[but] an all-of-the-above strategy should not come at the expense of public health…” [Rep. Kevin McCarthy, R-Calif., and Majority Whip:] "If we are going to get energy independent, we are not going to get there one way…[and] one resource is not going to last forever, so you want to have the bridge to the next technology …I don't think the government should pick the winners and losers. 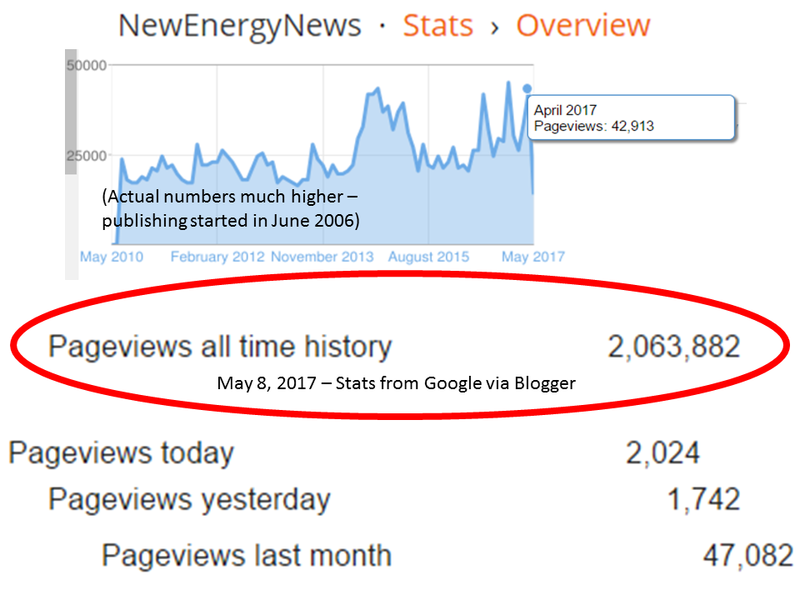 It should set a framework where the best ideas win, where science gets to determine…[but] I don't like the idea that people use the term 'all of the above' and then are opposed to a pipeline or are opposed to anything below…"
Renewable energy markets and policy frameworks have evolved rapidly in recent years. This report provides a comprehensive and timely overview of renewable energy market, industry, investment, and policy developments worldwide. It relies on the most recent data available, provided by a network of more than 400 contributors and researchers from around the world, all of which is brought together by a multi-disciplinary authoring team. The report covers recent developments, current status, and key trends; by design, it does not provide analysis or forecast the future. As such, this report and subsequent editions will serve as a benchmark for measuring global progress in the deployment of renewable energy, which is of particular interest in this International Year of Sustainable Energy for All. UN Secretary-General Ban Ki-moon has marked the occasion with a new global initiative, Sustainable Energy for All, which seeks to mobilise global action on three interlinked objectives to be achieved by 2030: universal access to modern energy services, improved rates of energy efficiency, and expanded use of renewable energy sources. 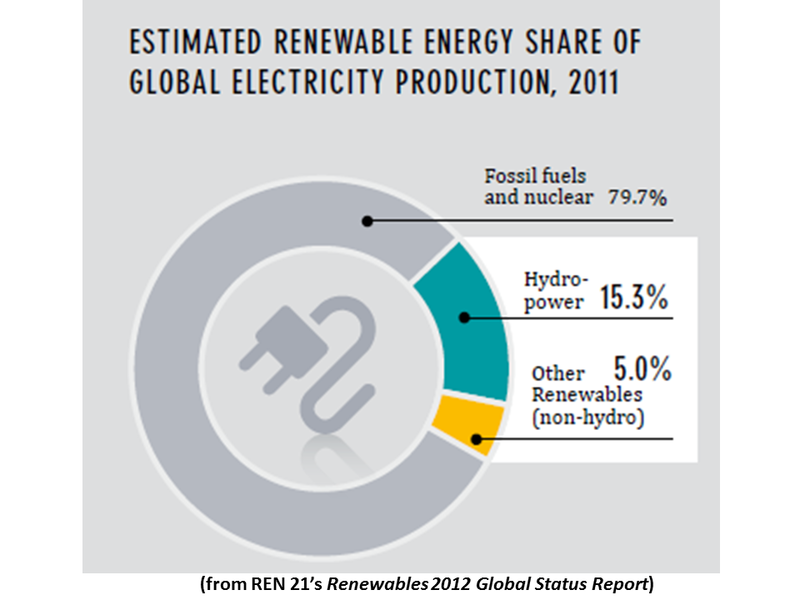 Renewable energy sources have grown to supply an estimated 16.7% of global final energy consumption in 2010. 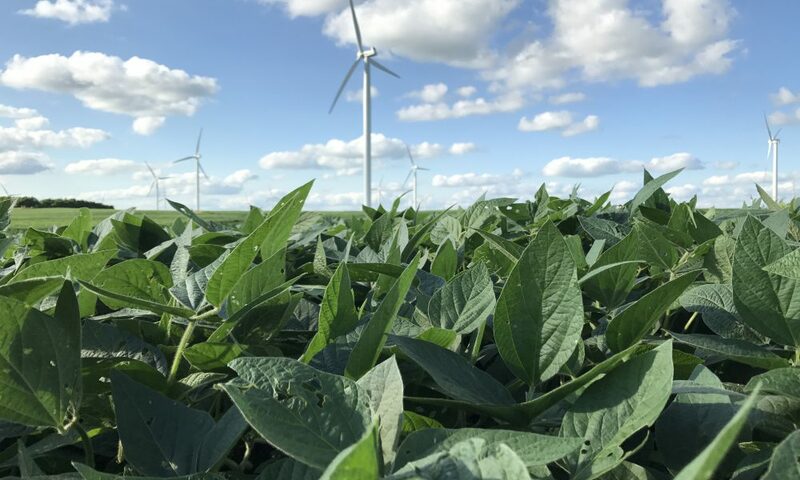 Of this total, modern renewable energy accounted for an estimated 8.2%, a share that has increased in recent years, while the share from traditional biomass has declined slightly to an estimated 8.5%. 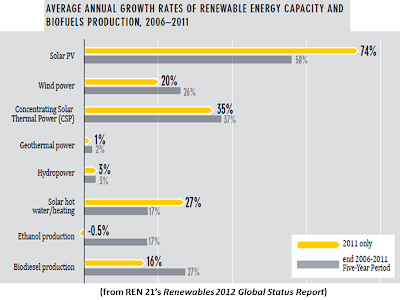 During 2011, modern renewables continued to grow strongly in all end-use sectors: power, heating and cooling, and transport. 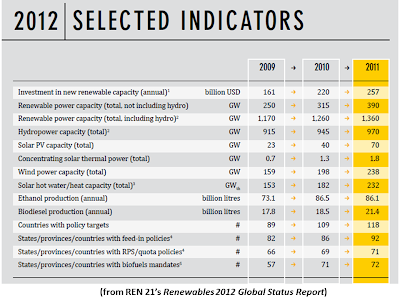 In the power sector, renewables accounted for almost half of the estimated 208 gigawatts (GW) of electric capacity added globally during 2011. Wind and solar photovoltaics (PV) accounted for almost 40% and 30% of new renewable capacity, respectively, followed by hydropower (nearly 25%). 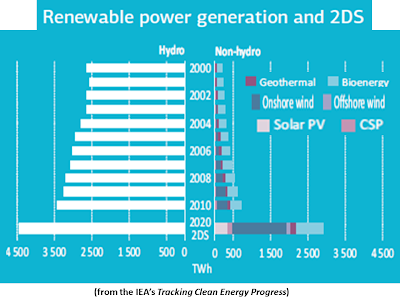 By the end of 2011, total renewable power capacity worldwide exceeded 1,360 GW, up 8% over 2010; renewables comprised more than 25% of total global power-generating capacity (estimated at 5,360 GW in 2011) and supplied an estimated 20.3% of global electricity. Non-hydropower renewables exceeded 390 GW, a 24% capacity increase over 2010. The heating and cooling sector offers an immense yet mostly untapped potential for renewable energy deployment. Heat from biomass, solar, and geothermal sources already represents a significant portion of the energy derived from renewables, and the sector is slowly evolving as countries (particularly in the European Union) are starting to enact supporting policies and to track the share of heat derived from renewable sources. Trends in the heating (and cooling) sector include an increase in system size, expanding use of combined heat and power (CHP), the feeding of renewable heating and cooling into district networks, and the use of renewable heat for industrial purposes. Renewable energy is used in the transport sector in the form of gaseous and liquid biofuels; liquid biofuels provided about 3% of global road transport fuels in 2011, more than any other renewable energy source in the transport sector. Electricity powers trains, subways, and a small but growing number of passenger cars and motorised cycles, and there are limited but increasing initiatives to link electric transport with renewable energy. 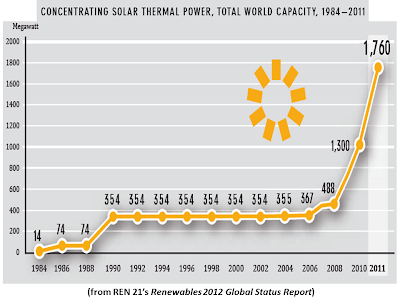 Solar PV grew the fastest of all renewable technologies during the period from end-2006 through 2011, with operating capacity increasing by an average of 58% annually, followed by concentrating solar thermal power (CSP), which increased almost 37% annually over this period from a small base, and wind power (26%). 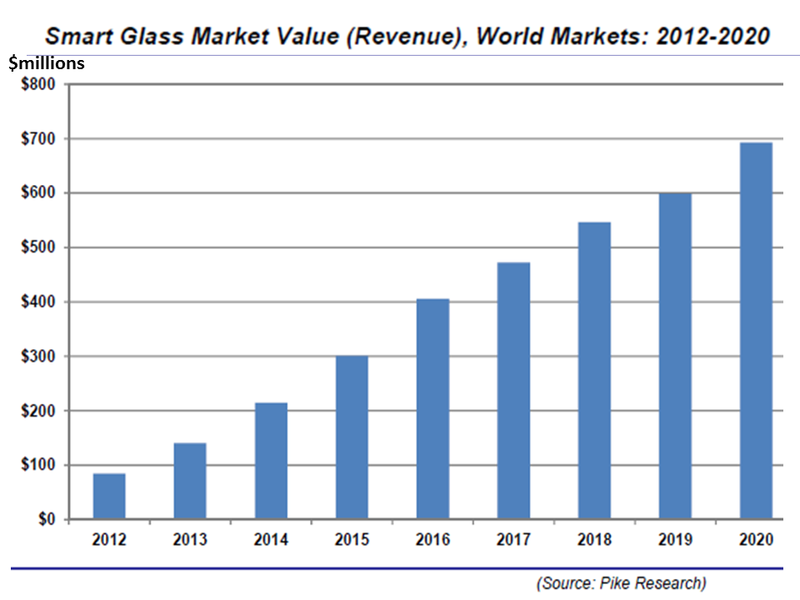 Demand is also growing rapidly for solar thermal heat systems, geothermal ground-source heat pumps, and some solid biomass fuels, such as wood pellets. The development of liquid biofuels has been mixed in recent years, with biodiesel production expanding in 2011 and ethanol production stable or down slightly compared with 2010. 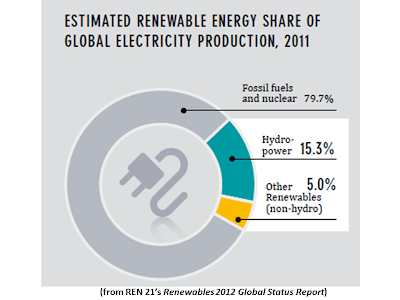 Hydropower and geothermal power are growing globally at rates averaging 2–3% per year. 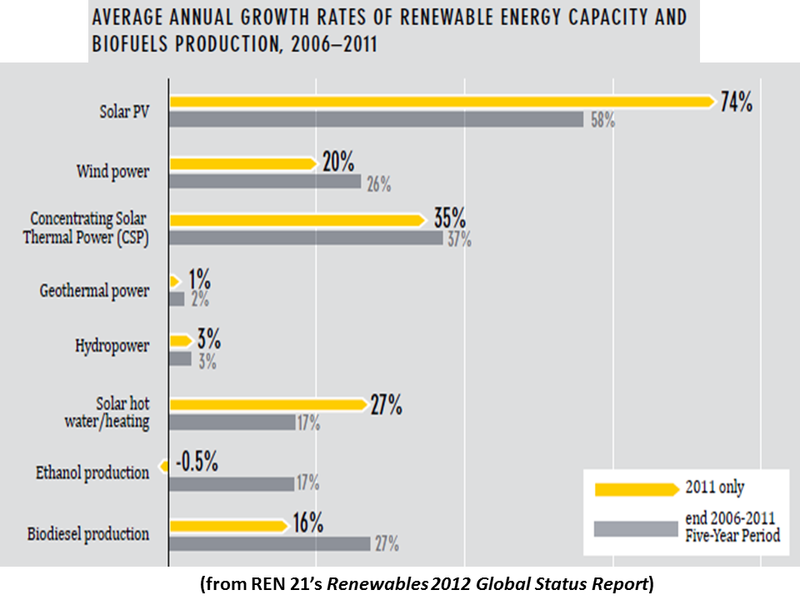 In several countries, however, the growth in these and other renewable technologies far exceeds the global average. * In the European Union, renewables accounted for more than 71% of total electric capacity additions in 2011, bringing renewable energy’s share of total electric capacity to 31.1%. 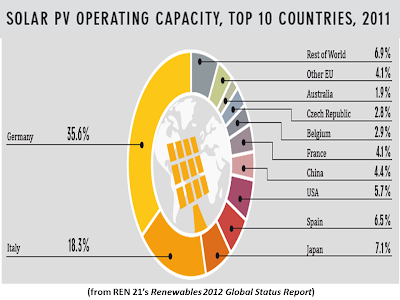 Solar PV alone represented almost 47% of new capacity that came into operation. The renewable share of consumption is rising in parallel (although not as rapidly since much of the capacity is variable solar and wind). 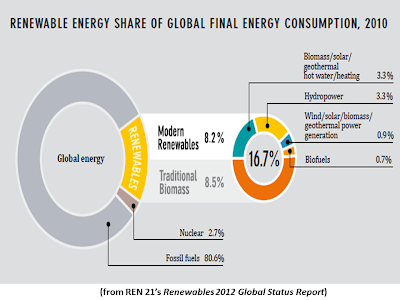 In 2010 (latest available data), the renewable share of total electricity consumption was 19.8% (up from 18.2% in 2009), and renewables represented 12.4% of gross final energy consumption (compared to 11.5% in 2009). * Germany continues to lead in Europe and to be in the forefront globally, remaining among the top users of many renewable technologies for power, heating, and transport. In 2011, renewables provided 12.2% of Germany’s final energy consumption, 20% of electricity consumption (up from 11.6% in 2006), 10.4% of heating demand (up from 6.2%), and 5.6% of transport fuel (excluding air traffic). 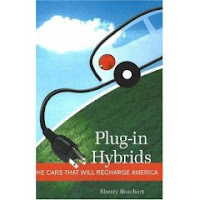 * In the United States, renewable energy made up an estimated 39% of national electric capacity additions in 2011. The share of U.S. net electricity generation from non-hydropower renewables has increased from 3.7% in 2009 to 4.7% in 2011. Nine states generated more than 10% of their electricity with non-hydro renewables in 2011, up from two states a decade ago. 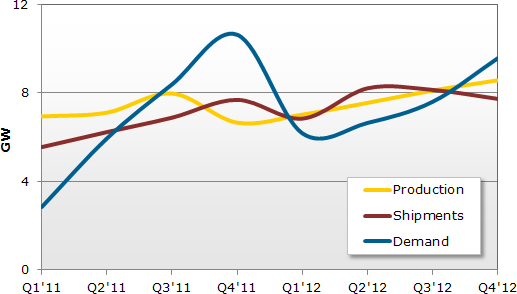 All renewables accounted for about 11.8% of U.S. primary energy production in 2011, up from 10.9% in 2010. 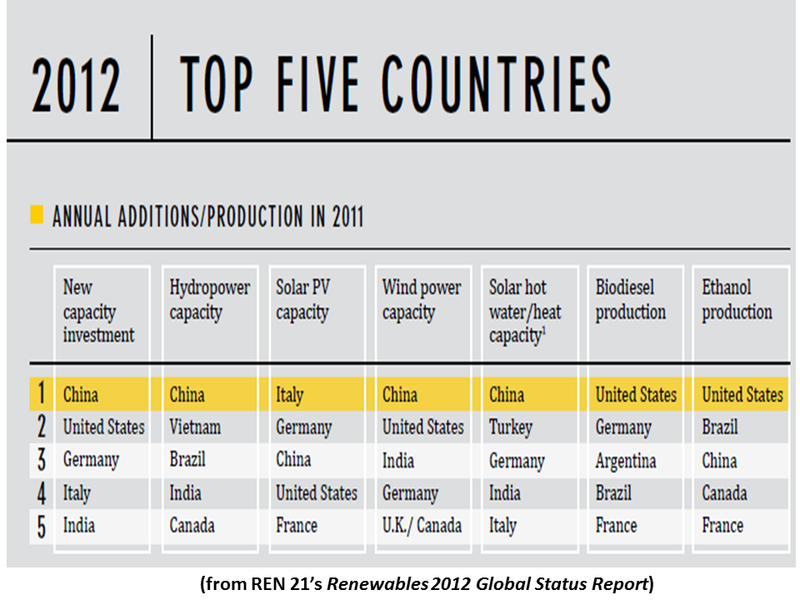 *China ended 2011 with more renewable power capacity than any other nation, with an estimated 282 GW; one-quarter of this total (70 GW) was non-hydro. Of the 90 GW of electric capacity newly installed during the year, renewables accounted for more than one-third, and non-hydro renewables were more than one-fifth. *Several countries and states met higher shares of their electricity demand with wind power in 2011 than in 2010, including Denmark, where wind provided nearly 26% of electricity demand, Spain (15.9%), and Portugal (15.6%); four German states met more than 46% of their electricity needs with wind; the state of South Australia generated 20% of its demand from wind; and the U.S. states of South Dakota and Iowa produced 22% and 19% of their power from wind, respectively. 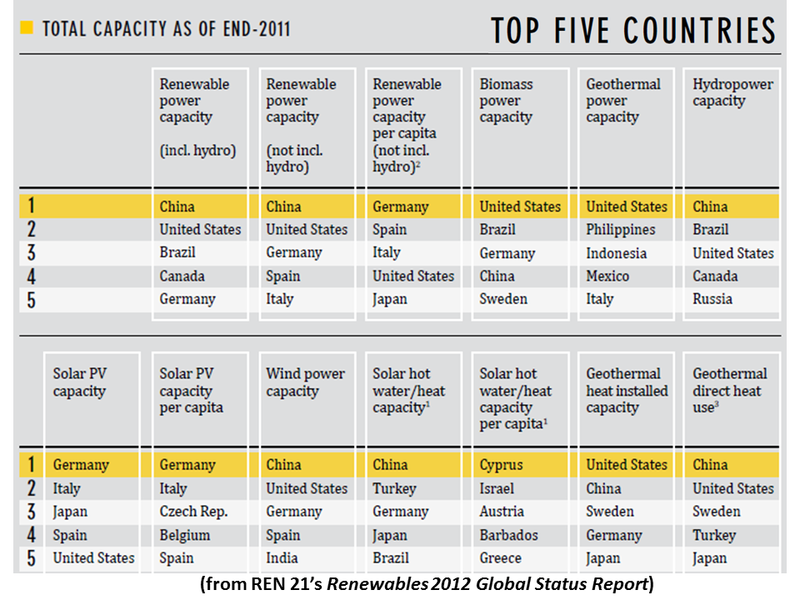 The top seven countries for non-hydro renewable electric capacity—China, the United States, Germany, Spain, Italy, India, and Japan—accounted for about 70% of total capacity worldwide. The ranking was quite different on a per-person basis, with Germany in the lead followed by Spain, Italy, the United States, Japan, China, and India. 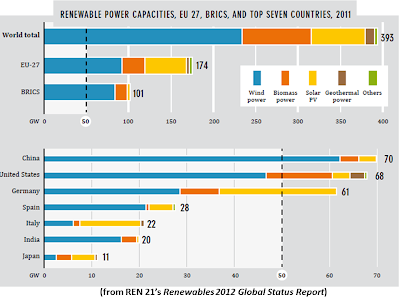 By region, the EU was home to nearly 44% of global non-hydro renewable capacity at the end of 2011, and the BRICSi nations accounted for almost 26%; their share has been increasing in recent years, but virtually all of this capacity is in China, India, and Brazil. 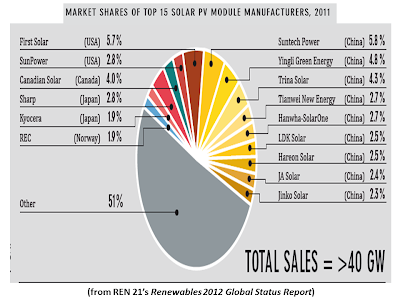 Even so, renewable technologies are expanding into new markets. 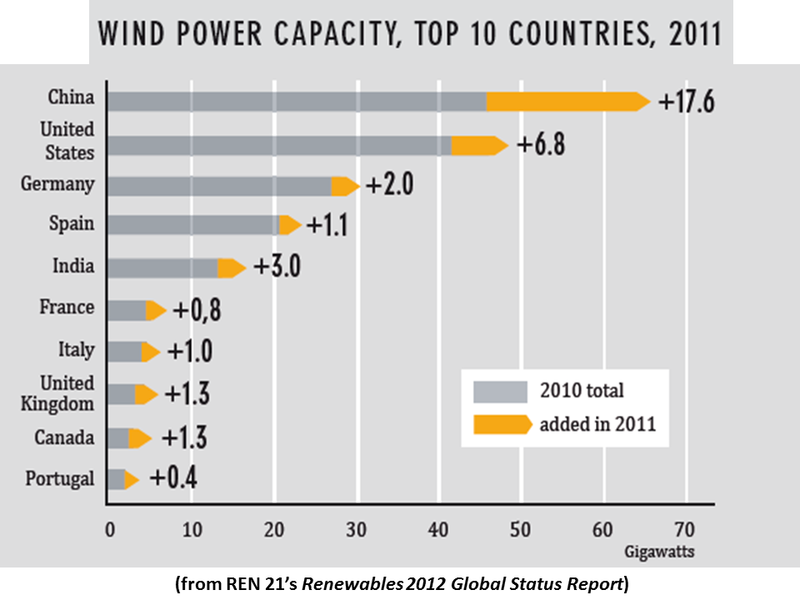 In 2011, around 50 countries installed wind power capacity, and solar PV capacity is moving rapidly into new regions and countries. Interest in geothermal power has taken hold in East Africa’s Rift Valley and elsewhere, and solar hot water collectors are used by more than 200 million households, as well as in many public and commercial buildings the world over. Interest in geothermal heating and cooling is on the rise in countries around the world, and the use of modern biomass for energy purposes is expanding in all regions of the globe. 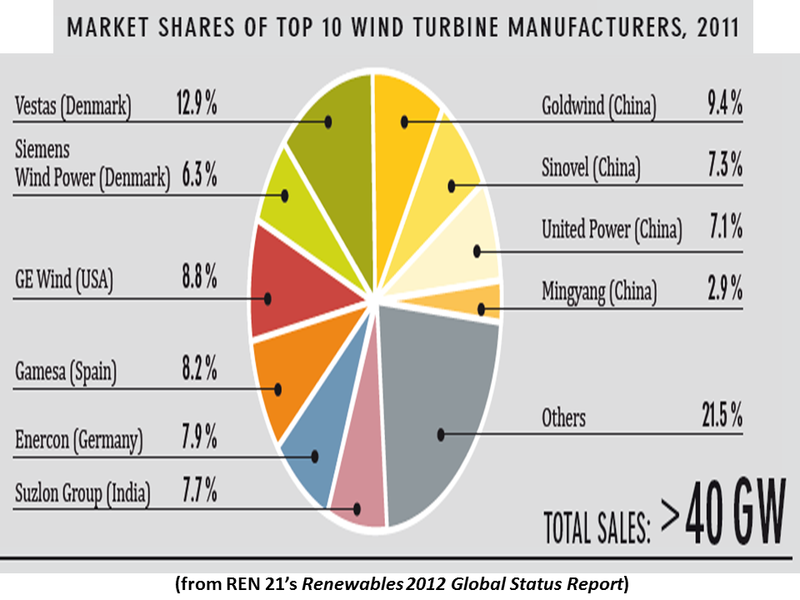 Across most technologies, renewable energy industries saw continued growth in equipment manufacturing, sales, and installation during 2011. 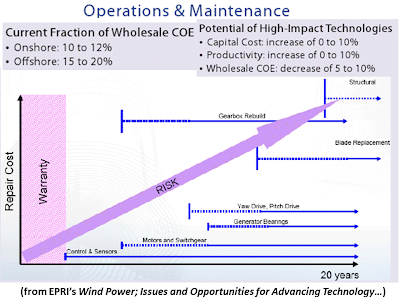 Solar PV and onshore wind power experienced dramatic price reductions resulting from declining costs due to economies of scale and technology advances, but also due to reductions or uncertainties in policy support. At the same time, some renewable energy industries—particularly solar PV manufacturing—have been challenged by falling prices, declining policy support, the international financial crisis, and tensions in international trade. 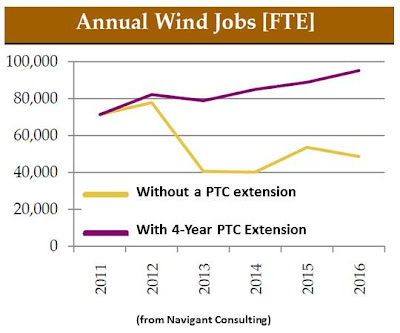 Continuing economic challenges (especially in traditional renewable energy markets) and changing policy environments in many countries contributed to some industry uncertainties or negative outlooks, and over the course of the year there was a steady decline in new projects proposed for development. 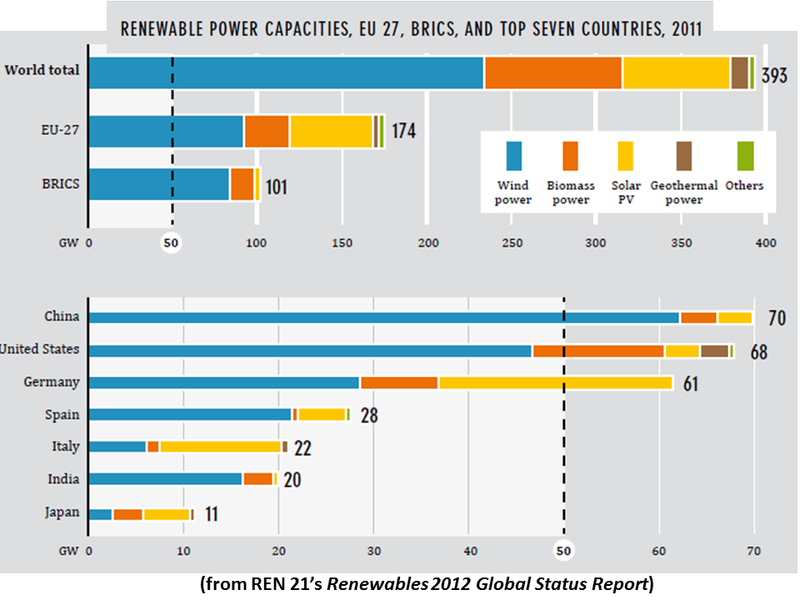 At least 118 countries, more than half of which are developing countries, had renewable energy targets in place by early 2012, up from 109 as of early 2010. Renewable energy targets and support policies continued to be a driving force behind increasing markets for renewable energy, despite some setbacks resulting from a lack of long-term policy certainty and stability in many countries. 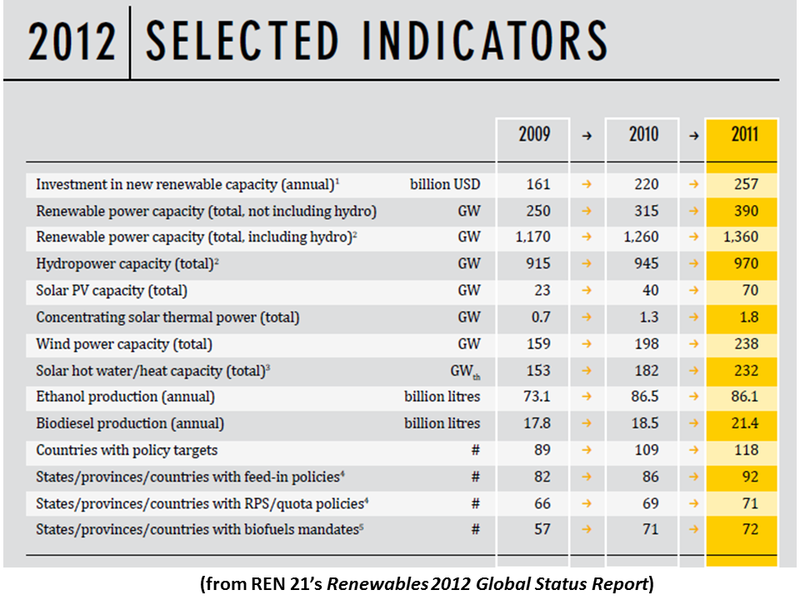 The number of official renewable energy targets and policies in place to support investments in renewable energy continued to increase in 2011 and early 2012, but at a slower adoption rate relative to previous years. Several countries undertook significant policy overhauls that have resulted in reduced support; some changes were intended to improve existing instruments and achieve more targeted results as renewable energy technologies mature, while others were part of the trend towards austerity measures. Renewable power generation policies remain the most common type of support policy; at least 109 countries had some type of renewable power policy by early 2012, up from the 96 countries reported in the GSR 2011. 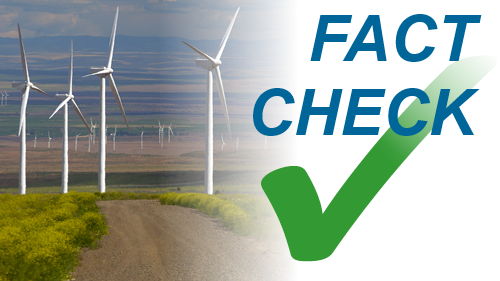 Feed-in-tariffs (FITs) and renewable portfolio standards (RPS) are the most commonly used policies in this sector. FIT policies were in place in at least 65 countries and 27 states by early 2012. While a number of new FITs were enacted, most related policy activities involved revisions to existing laws, at times under controversy and involving legal disputes. 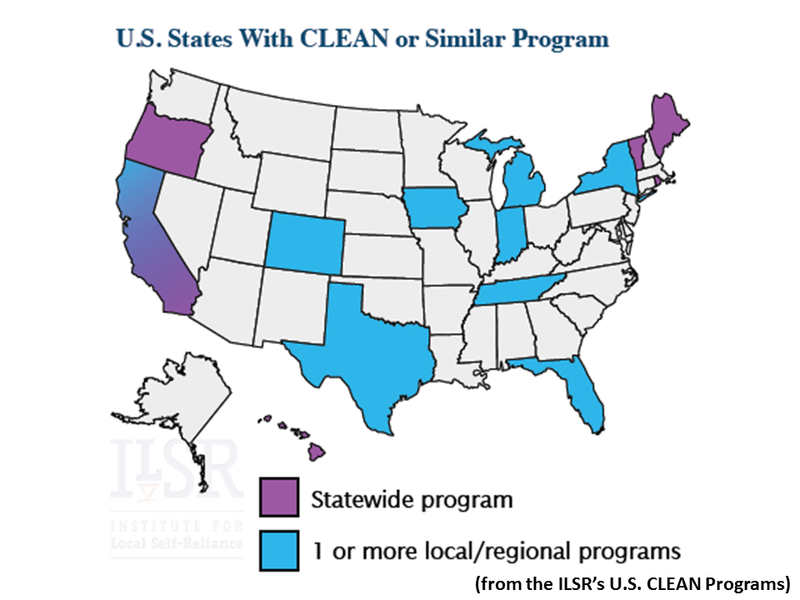 Quotas or Renewable Portfolio Standards (RPS) were in use in 18 countries and at least 53 other jurisdictions, with two new countries having enacted such policies in 2011 and early 2012. Policies to promote renewable heating and cooling continue to be enacted less aggressively than those in other sectors, but their use has expanded in recent years. 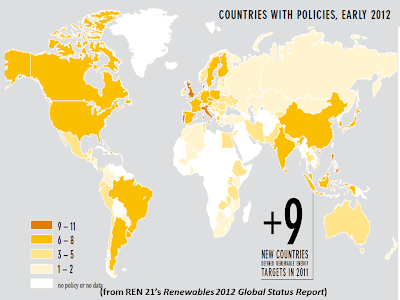 By early 2012, at least 19 countries had specific renewable heating/cooling targets in place and at least 17 countries and states had obligations/mandates to promote renewable heat. 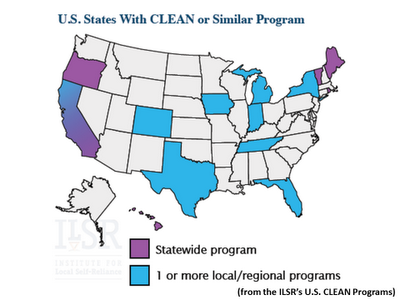 Numerous local governments also support renewable heating systems through building codes and other measures. 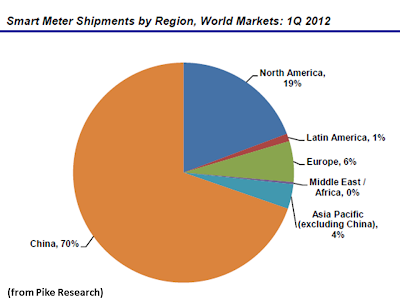 The focus of this sector is still primarily in Europe, but interest is expanding to other regions. Regulatory policies supporting biofuels existed in at least 46 countries at the national level and in 26 states and provinces by early 2012, with three countries enacting new mandates during 2011 and at least six increasing existing mandates. Transport fuel-tax exemptions and biofuel production subsidies also existed in at least 19 countries. At the same time, Brazil’s mandated ethanol blend level was reduced, partly in response to low sugarcane yields, while long-term ethanol support policies in the United States were allowed to expire at year's end. Thousands of cities and local governments around the world also have active policies, plans, or targets for renewable energy and climate change mitigation. Almost two-thirds of the world’s largest cities had adopted climate change action plans by the end of 2011, with more than half of them planning to increase their uptake of renewable energy. Many of the institutions encouraging co-operation among cities in local renewable energy deployment saw increased membership and activities in 2011, including the EU Covenant of Mayors (with over 3,000 member cities). 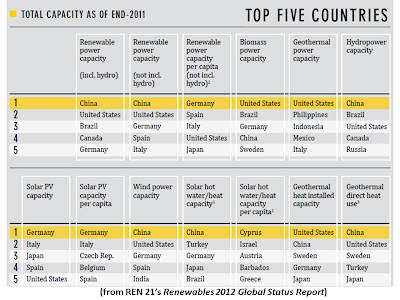 Most activity has occurred in North American and European cities, although 100 demonstration cities exist in China, and cities in Argentina, Australia, Brazil, India, Mexico, South Africa, South Korea, and elsewhere undertook initiatives to support renewable energy deployment in 2011. 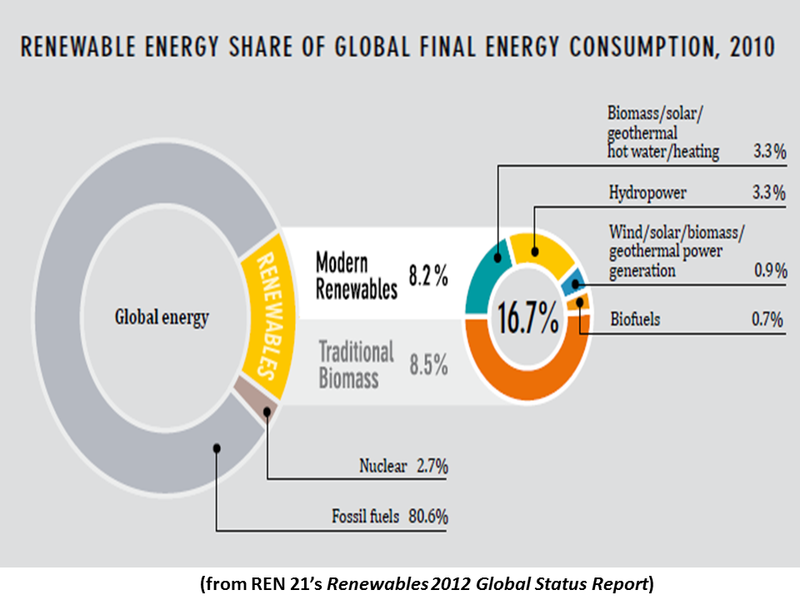 Policymakers are increasingly aware of renewable energy’s wide range of benefits—including energy security, reduced import dependency, reduction of greenhouse gas (GHG) emissions, prevention of biodiversity loss, improved health, job creation, rural development, and energy access—leading to closer integration in some countries of renewable energy with policies in other economic sectors. 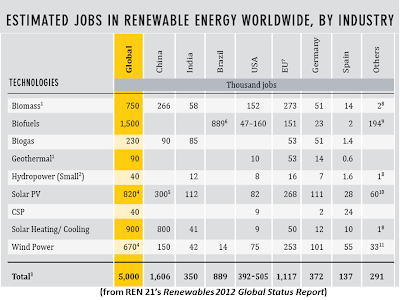 Globally there are more than 5 million jobs in renewable energy industries, and the potential for job creation continues to be a main driver for renewable energy policies. 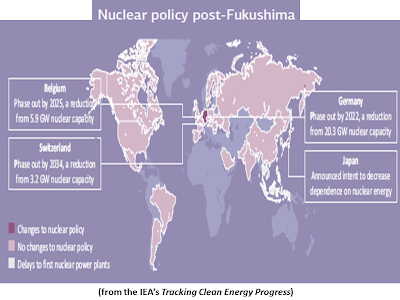 During 2011, policy development and implementation were also stimulated in some countries by the Fukushima nuclear catastrophe in Japan and by the UN Secretary-General’s announced goal to double the share of renewables in the energy mix by 2030. There has been little systematic linking of energy efficiency and renewable energy in the policy arena to date, but countries are beginning to wake up to the importance of tapping their potential synergies. Efficiency and renewables can be considered the “twin pillars” of a sustainable energy future. Improving the efficiency of energy services is advantageous irrespective of the primary energy source, but there is a special synergy between energy efficiency and renewable energy sources. The more efficiently energy services are delivered, the faster renewable energy can become an effective and significant contributor of primary energy; and the more energy obtained from renewable sources, the less primary energy required to provide the same energy services. In the EU, the United States, and elsewhere, countries are beginning to link the two through targets and policies; at the global level, the UN Secretary-General’s initiative on Sustainable Energy for All highlights the interlinkages among energy access, energy efficiency improvements, and renewable energy deployment. 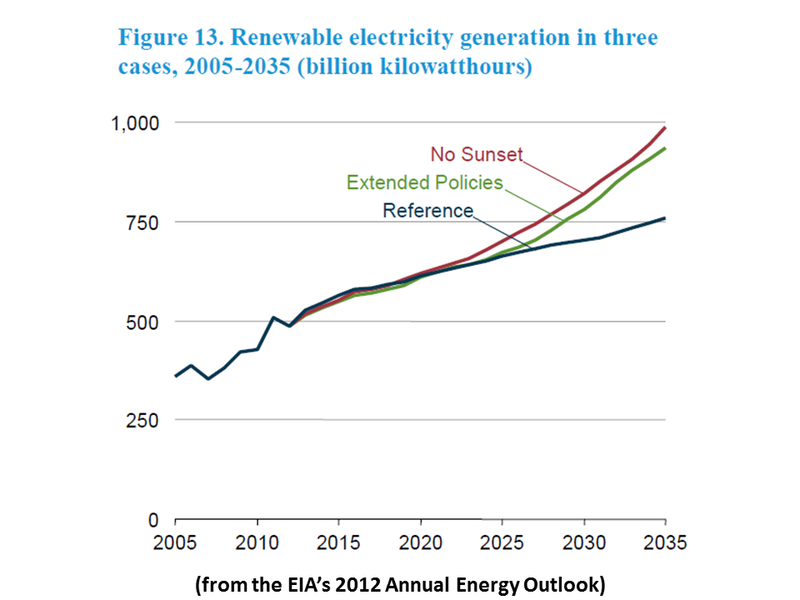 Policies have also begun to address the efficiency of renewable energy systems themselves. 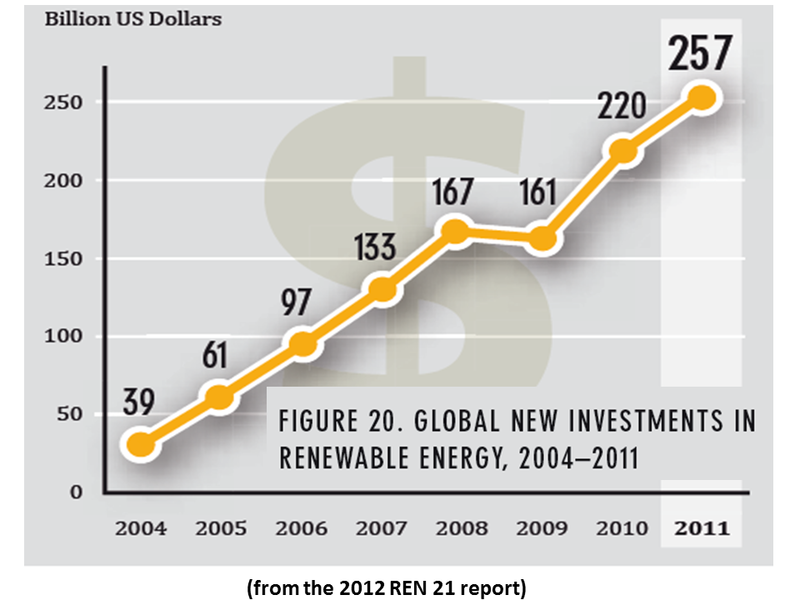 Global new investment in renewables rose 17% to a record USD 257 billion in 2011. This was more than six times the figure for 2004 and almost twice the total investment in 2007, the last year before the acute phase of the recent global financial crisis. This increase took place at a time when the cost of renewable power equipment was falling rapidly and when there was uncertainty over economic growth and policy priorities in developed countries. Including large hydropower, net investment in renewable power capacity was some USD 40 billion higher than net investment in fossil fuel capacity. 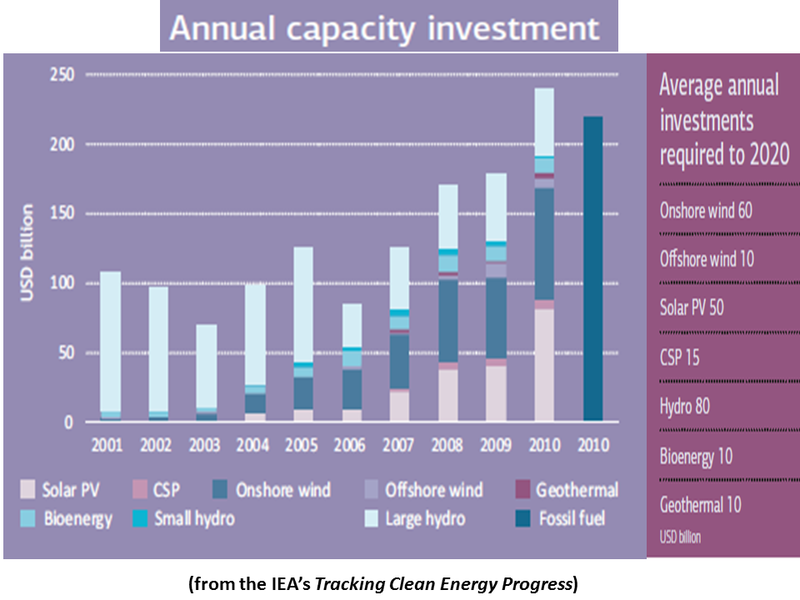 One of the highlights of 2011 was the strong performance of solar power, which blew past wind power, the biggest single sector for investment in recent years (although total wind power capacity added in 2011 was higher than for solar). Another highlight was the performance of the United States, where investment increased by 57% relative to 2010, mainly as the result of developers rushing to take advantage of federal support policies that were coming to an end. The top five countries for total investment were China, which led the world for the third year running, followed closely by the United States, and by Germany, Italy, and India. 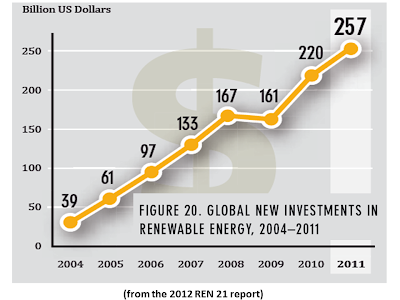 India displayed the fastest expansion in investment of any large renewables market in the world, with 62% growth. Developing countries saw their relative share of total global investment slip back after several years of consistent increases; developing countries accounted for USD 89 billion of new investment in 2011, compared with USD 168 billion in developed countries. Significant technological innovation and cost reductions of renewable energy technologies, along with improved business and financing models, are increasingly creating clean and affordable renewable energy solutions for individuals and communities in developing countries. For a majority of very remote and dispersed users, decentralised off-grid renewable electricity is less expensive than extending the power grid. At the same time, developing countries have begun deploying more and more grid-connected renewable capacity, which is in turn expanding markets and further reducing prices, potentially improving the outlook for rural renewable energy developments. Rural renewable energy markets in developing countries differ significantly across regions: for example, Africa has by far the lowest rates of access to modern energy services, while Asia presents significant gaps among countries, and Latin America’s rate of electrification is quite high. In addition, active players in this sector are numerous, and participants differ from one region to the next. The rural renewable energy market is highly dynamic and constantly evolving; it is also challenged by the lack of structured frameworks and of consolidated data sets. In addition to a focus on technologies and systems, most developing countries have started to identify and implement programmes and policies to improve the ongoing operational structures governing rural energy markets. Most countries are developing targets for electrification that include renewable off-grid options and/or renewably powered mini-grids; there is also some use of grid connected renewable electricity. In the rural cooking and heating market, advanced cookstoves fueled by renewable sources are gaining ground as reliable and sustainable alternatives to traditional biomass cookstoves. Such developments are increasing the attractiveness of rural energy markets and developing economies for potential investors. 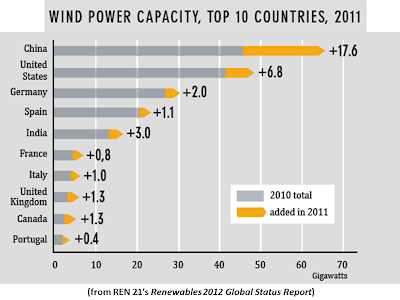 Wind power capacity increased by 20% in 2011 to approximately 238 GW by year-end, seeing the greatest capacity additions of any renewable technology. 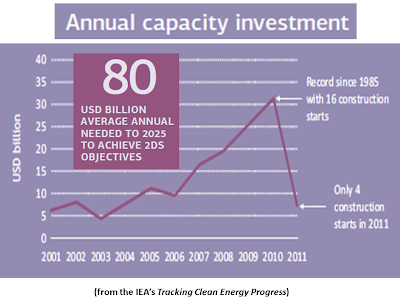 As in 2010, more new capacity was added in developing countries and emerging markets than in OECD countries. China accounted for almost 44% of the global market (adding slightly less capacity than it did in 2010), followed by the United States and India; Germany remained the largest market in Europe. 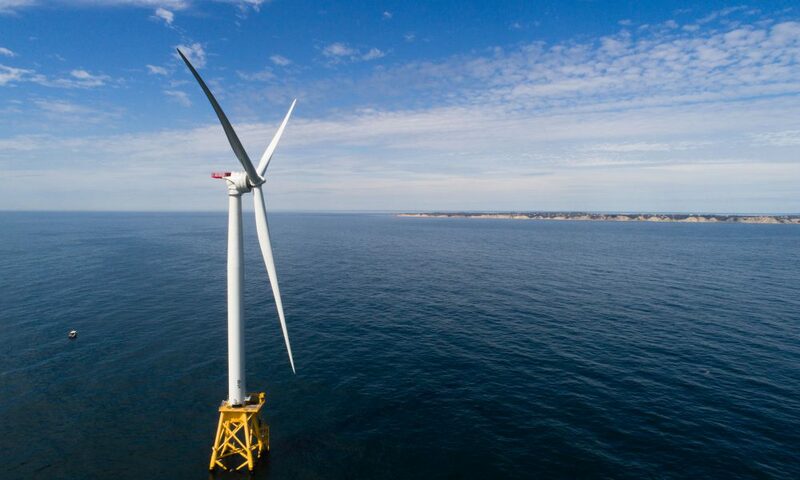 Although its market share remained relatively small, the offshore wind sector continued to expand, with the use of larger turbines and movement into deeper water, farther from shore. 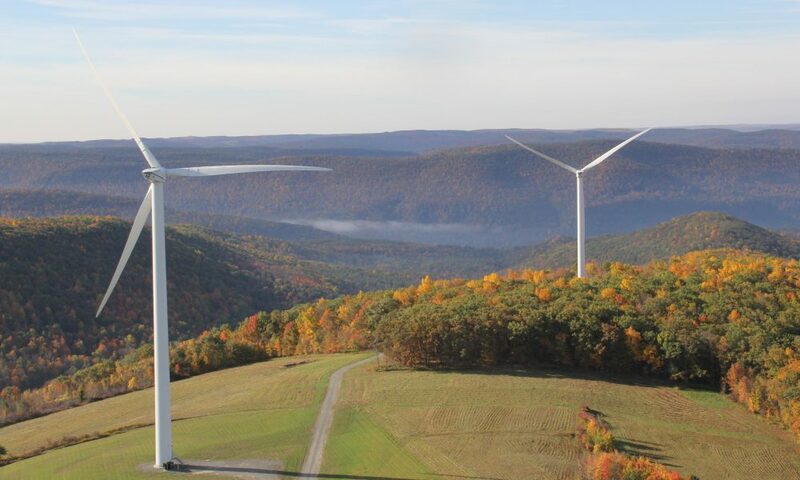 The trend towards increasing the size of individual wind projects and larger wind turbines continued; at the same time, the use of small-scale turbines is increasing, and interest in community wind power projects is on the rise in several countries. 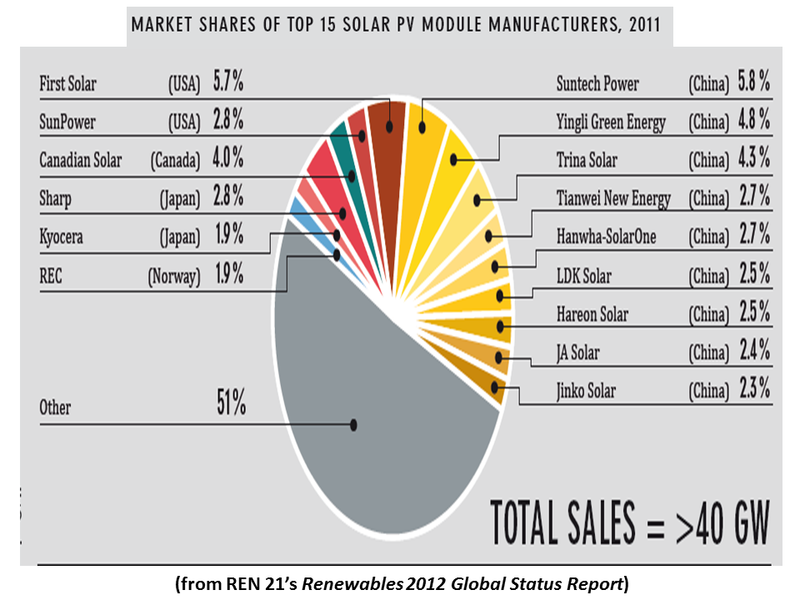 Solar PV saw another year of extraordinary market growth. 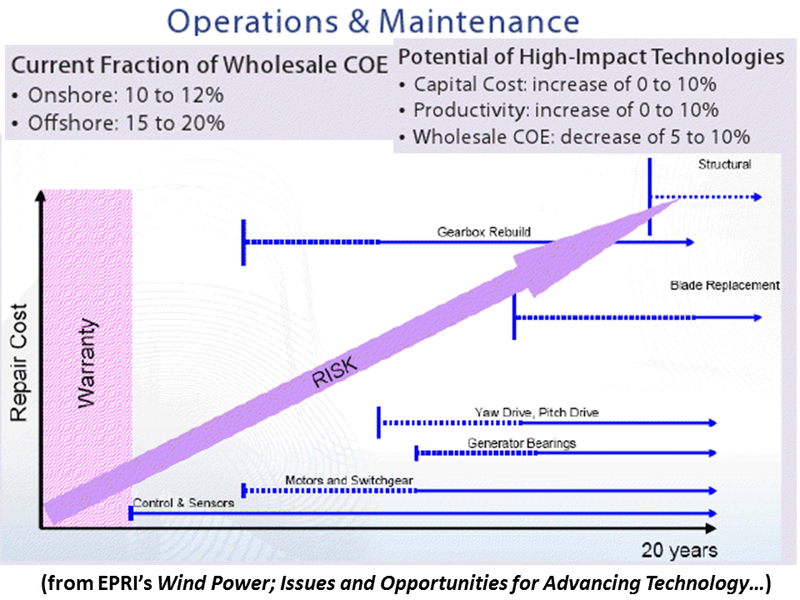 Almost 30 GW of operating capacity was added, increasing total global capacity by 74% to almost 70 GW. The trend towards very large-scale ground-mounted systems continued, while rooftop and small-scale systems continued to play an important role. 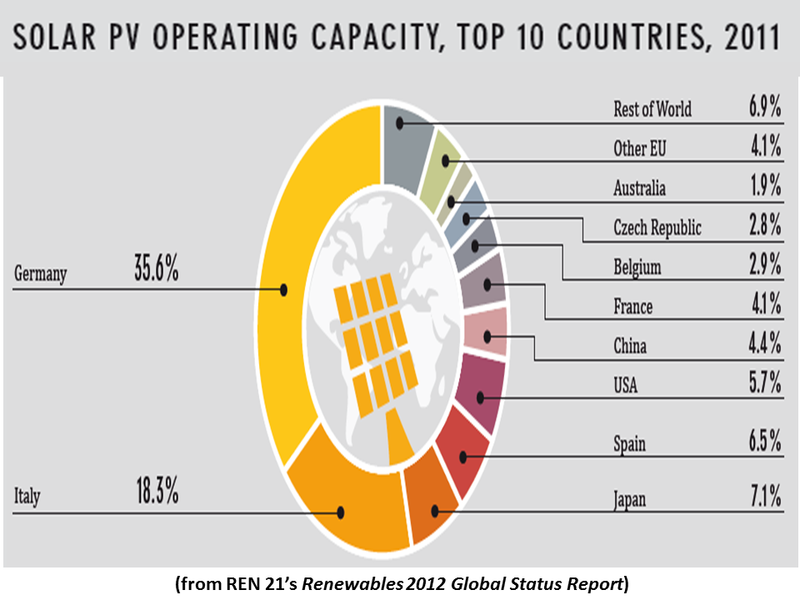 For the first time ever, solar PV accounted for more capacity additions in the EU than any other technology. While the EU again dominated the global market, led by Italy and Germany, markets expanded in other regions, and China has rapidly emerged as the dominant player in Asia. Although 2011 was a good year for consumers and installers, manufacturers struggled to make profits or even survive amidst excess inventory and falling prices, declining government support, slower market growth for much of the year, and significant industry consolidation. Module manufacturing continued its marked shift to Asia, mainly at the expense of European firms. BIOMASS FOR HEAT, POWER, AND TRANSPORT. The growing use of biomass for heat, electricity, and transport fuels has resulted in increasing international trade in biomass fuels in recent years; wood pellets, biodiesel, and ethanol are the main fuels traded internationally. Biomass, in the form of both solid and gaseous fuels, continues to provide the majority of heating produced with renewable energy sources. Markets are expanding rapidly, particularly in Europe where biomass is used increasingly in district heat systems. Another growing trend, also taking place largely in Europe, is the use of biomethane (purified biogas) that can be injected directly into the natural gas network and used to produce heat and power and to fuel vehicles. Biogas produced from domestic-scale digesters is used increasingly for cooking, and to a smaller extent for heating and lighting, in China, India, and elsewhere. 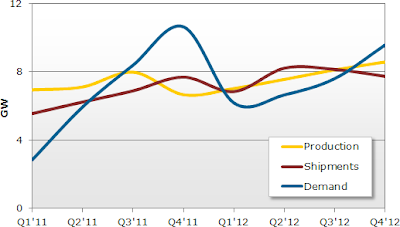 Biomass power capacity increased from about 66 GW in 2010 to almost 72 GW at the end of 2011. The United States leads the world in biomass-based power generation, with other significant producers in the EU in addition to Brazil, China, India, and Japan. Most sugar producing countries in Africa generate power and heat with bagasse-based combined heat and power (CHP) plants. Improvements in the logistics of biomass collection, transport, and storage over the past decade, and growing international trade (particularly in pellets), have helped to remove constraints on plant size, and the size of facilities in some countries is increasing as a result. Ethanol and biodiesel are the primary renewable fuels in the transport sector. During 2011, ethanol production remained stable or declined slightly for the first time in more than a decade, but biodiesel production continued to rise globally. Several airlines began to operate commercial flights using various biofuels blends, and interest in advanced biofuels continued to increase, although production levels remain relatively low. Limited but growing quantities of gaseous biofuels (mainly biomethane) are fuelling trains, buses, and other vehicles, particularly in Europe. SOLAR THERMAL HEATING AND COOLING. 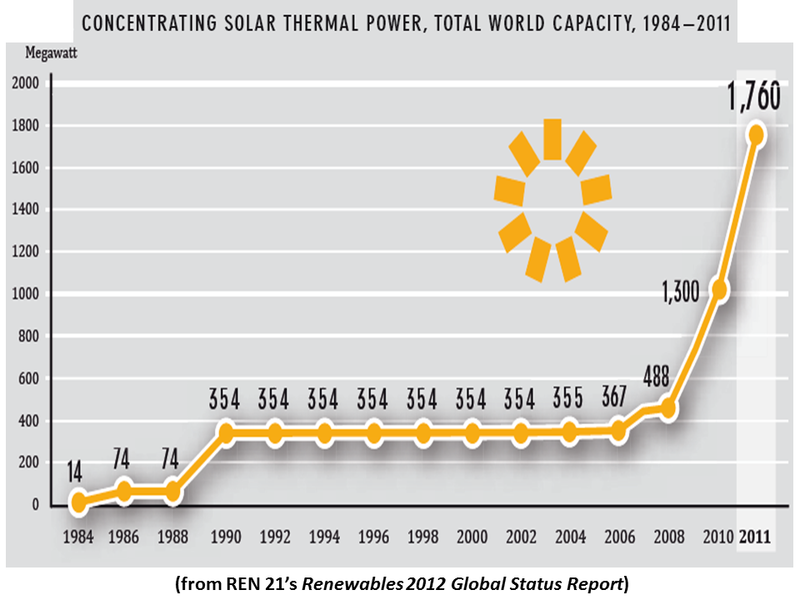 Solar heating capacity increased by an estimated 27% in 2011 to reach approximately 232 GWth, excluding unglazed swimming pool heating. 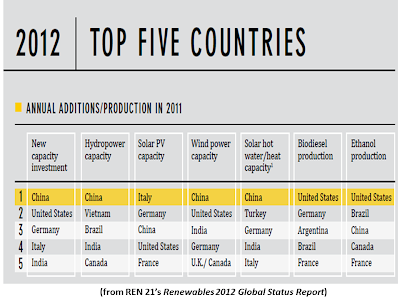 China again led the world for solar thermal installations, with Europe a distant second. Most solar thermal is used for water heating, but solar space heating and cooling are gaining ground, particularly in Europe. The year 2011 was difficult for parts of the solar thermal industry due to the economic situation in northern Mediterranean countries and the general negative outlook across much of Europe. China remained dominant in the global solar heating industry, a position that it has held for several years, and export of Chinese products has increased considerably in recent years. CONCENTRATING SOLAR THERMAL POWER (CSP). More than 450 megawatts (MW) of CSP was installed in 2011, bringing global capacity to almost 1,760 MW. Spain accounted for the vast majority of capacity additions, while several developing countries launched their first CSP plants and industry activity expanded its attention from Spain and the United States to new regions. Parabolic trough plants continued to dominate the market, but new central receiver and Fresnel plants were commissioned during 2011 and others were under construction. Although CSP faced challenges associated with rapidly falling PV prices and the Arab Spring, which slowed development in the Middle East and North Africa region, significant capacity was under construction by year’s end. Geothermal energy provided an estimated 205 TWh (736 PJ) in 2011, one third in the form of electricity (with an estimated 11.2 GW of capacity) and the remaining two-thirds in the form of heat. 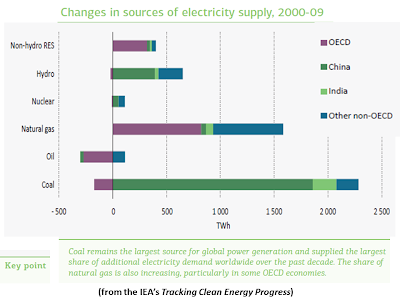 At least 78 countries used direct geothermal energy in 2011. Most of the growth in direct use was associated with ground-source heat pumps (GHP), which can provide heating and cooling and have experienced growth rates averaging 20% annually. Geothermal electricity saw only modest expansion in 2011, but the rate of deployment is expected to accelerate with projects under development in traditional markets and the movement into new markets in East Africa and elsewhere. While expansion in the geothermal power industry is hampered by high risk inherent in the development of new resources and lack of awareness, geothermal power is advancing due to the development of new technologies, such as binary-cycle plants and hydraulic enhancement (EGS), which are expanding the range of producible resources and improving the economy of existing plants. An estimated 25 GW of new capacity came on line in 2011, increasing global installed capacity by nearly 2.7% to approximately 970 GW. Hydropower continues to generate more electricity than any other renewable resource, with an estimated 3,400 TWh produced during 2011. Asia was the most active region for new projects, while more mature markets focused on retrofits of existing facilities for improved output and efficiency. Hydropower is increasingly providing balancing services, including through expansion of pumped storage capacity, in part to accommodate the increased use of variable solar and wind resources. Companies reported increased sales in 2011, and large manufacturers have been investing in new plants and acquiring smaller firms to address billions of dollars in backlogs. 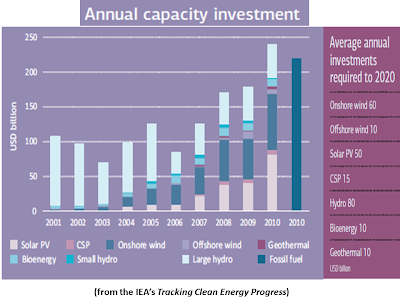 After years that saw development of only small pilot projects, global ocean power capacity almost doubled in 2011. The launch of a 254 MW tidal power plant in South Korea and a 0.3 MW wave energy plant in Spain brought total global capacity to 527 MW. A number of additional projects—small pilot-scale and utility-scale—were under development in 2011, designed to test and demonstrate various technologies for full commercial applications in the near future. Continued investment and strategic partnerships are coalescing around several key wave and tidal technologies that look poised for deployment on a large scale in coming years. ABOUT THE (NON-EXISTENT) U.S. SOLAR F-I-T What Is Holding Back Solar Feed-In-Tariff Programs In The U.S. Market? “The Federal Energy Regulatory Commission (FERC) has issued a final rule that promotes the more efficient operation of the transmission system amid increasing integration of variable energy resources and benefits electric consumers by ensuring that services are provided at just and reasonable rates. 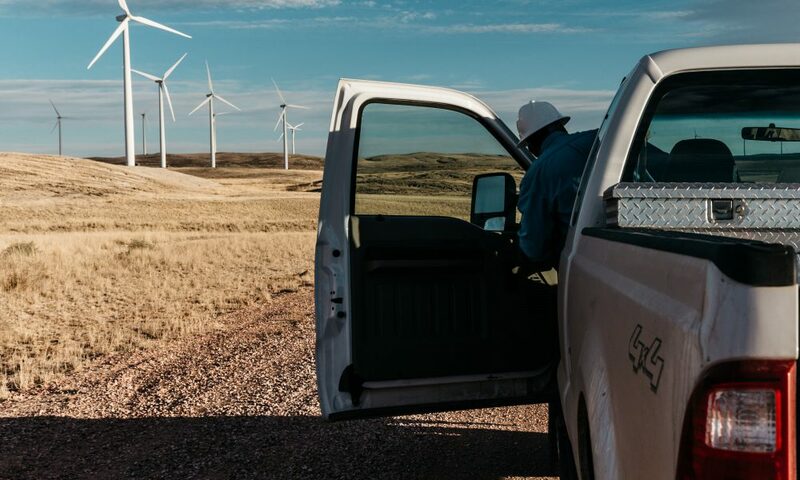 “The rule finds that transmission customers are exposed to excessive imbalance service charges because they cannot adjust their service schedules within each operating hour. Intra-hour scheduling gives customers the tool they need to manage that exposure when generation output changes within the hour…The rule allows transmission providers to submit alternative proposals that are consistent with or superior to the 15-minute scheduling reform. Any alternative proposal will need to provide equivalent or greater opportunities for transmission customers to mitigate generator imbalance penalties and for the public utility transmission provider to lower its reserve-related costs. Recent environmental, economic and energy security trends point to major challenges: energy related CO2 emissions are at an historic high, the global economy remains in a fragile state, and energy demand continues to rise. 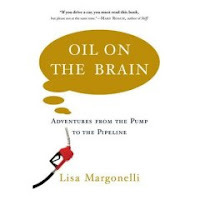 The past two years (2010 and 2011) also saw the Deepwater Horizon oil spill off the Gulf of Mexico, the Fukushima nuclear accident in Japan, and the Arab Spring, which led to oil supply disruptions from North Africa. Taken together, these trends and events emphasise the need to rethink our global energy system. Whether the priority is to ensure energy security, rebuild national and regional economies, or address climate change and local pollution, the accelerated transition towards a lower-carbon energy system offers opportunities in all of these areas. 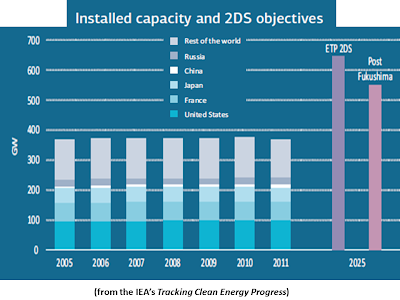 The Energy Technology Perspectives 2012 2OC Scenario (ETP 2DS)1 highlights that achieving this transition is technically feasible, if timely and significant government policy action is taken, and a range of clean energy technologies are developed and deployed globally. Based on current trends, are we on track to achieving this transition? 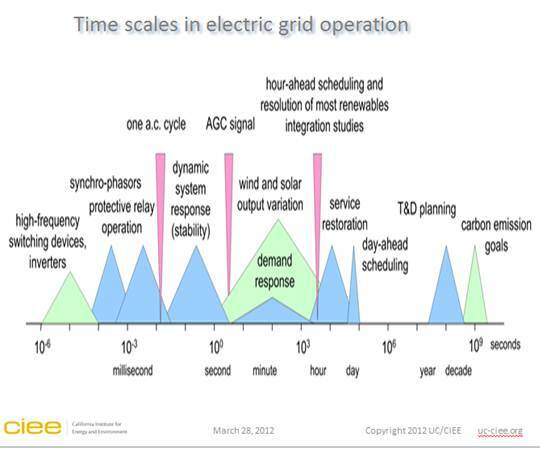 Are clean energy technologies being deployed quickly enough? Are emerging technologies making the necessary progress to play an important role in the future energy mix? These are the key questions addressed in this report. 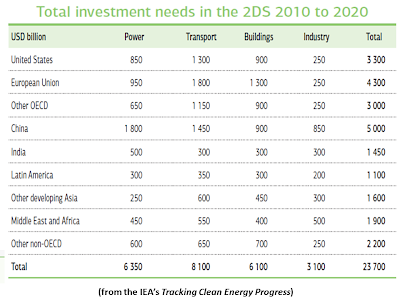 In summary, the following analysis finds that a few clean energy technologies are currently on track to meet the 2DS objectives. 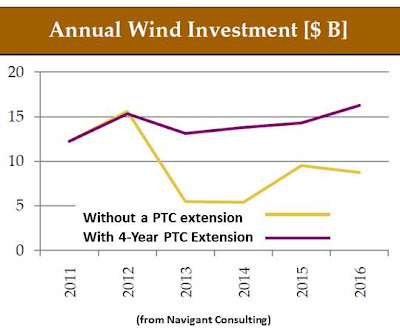 Cost reductions over the past decade and significant annual growth rates have been seen for onshore wind (27%) and solar photo-voltaic (PV) (42%). This is positive, but maintaining this progress will be challenging. Government targets for electric vehicles stock (20 million by 2020) are ambitious, as are continued government nuclear expansion plans in many countries, in both of these cases, significant public and private sector efforts will be necessary to translate plans into reality. 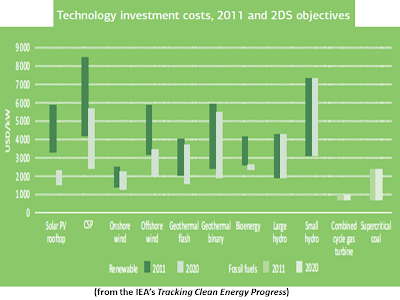 The technologies with the greatest potential for energy and carbon dioxide (CO2) emissions savings, however, are making the slowest progress: carbon capture and storage (CCS) is not seeing the necessary rates of investment into full-scale demonstration projects and nearly one-half of new coal-fired power plants are still being built with inefficient technology; vehicle fuel-efficiency improvement is slow; and significant untapped energy-efficiency potential remains in the building and industry sectors. The transition to a low-carbon energy sector is affordable and represents tremendous business opportunities, but investor confidence remains low due to policy frameworks that do not provide certainty and address key barriers to technology deployment. Private sector financing will only reach the levels required if governments create and maintain supportive business environments for low-carbon energy technologies. Member governments of the Clean Energy Ministerial (CEM)2 process not only represent 80% of today’s global energy consumption, but also about two-thirds of projected global growth in energy demand over the next decade. 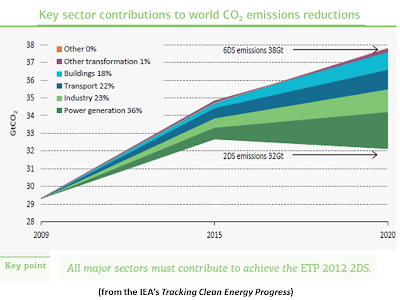 If the 2DS objectives are achieved, CO2 emissions among CEM member countries would decrease by over 5 gigatonnes (Gt), and they would save 7 700 million tonnes of oil equivalent (Mtoe)3 through reduced fuel purchases. 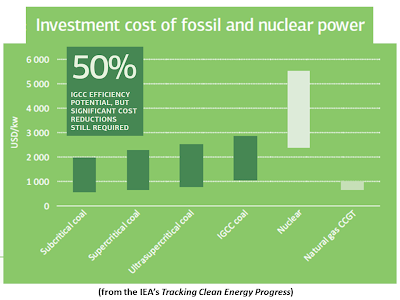 Globally, the near-term additional investment cost of achieving these objectives would amount to USD 5 trillion by 2020, but USD 4 trillion will be saved through lower fossil fuel use over this period. The net costs over the next decade are therefore estimated at over USD 1 trillion4. More impressively, by 2050, energy and emissions savings increase significantly as CO2 emissions peak, and begin to decline from 2015. In this timeframe, benefits of fuel savings are also expected to surpass additional investment requirements for decarbonising the energy sector. Potential savings among CEM countries in 2050 amount to over 29 Gt of CO2 emissions and about 160 000 Mtoe through reduced fuel purchases. This is equivalent to more than a 50% reduction in CO2 emissions from 2010 levels, and fuel purchase savings equivalent to twice total CEM country energy imports over the past 40 years. This combination of reduced energy demand and diversification of energy sources will result in far reaching energy security benefits. ■■ Encourage national clean energy technology goals – supported by policy action and appropriate energy pricing – that send strong signals to the markets that governments are committed to clean energy technology deployment. ■■ Escalate the ambition of international collaboration – by building on the CEM Initiatives to take joint actionable commitments, and closely monitor progress against them. With these two objectives in mind, if taken up by energy ministers, the following three key recommendations, and specific supporting actions, can help move clean energy technologies from fringe to main-stream markets. 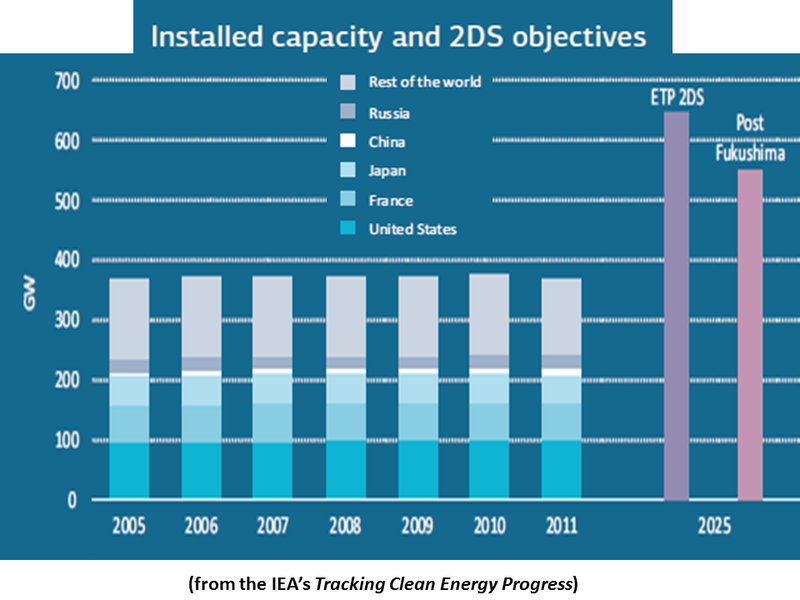 Part 1 concludes that most clean energy technologies are currently not on track to achieve the ETP 2DS objectives. Policy actions are required to scale-up the development and deployment of clean energy technologies, which will in part aim to shift capital from traditional fossil fuel technology investments, to clean energy alternatives. The power, transport, buildings and industry sectors will all require additional investments over the next decade to achieve the 2DS. 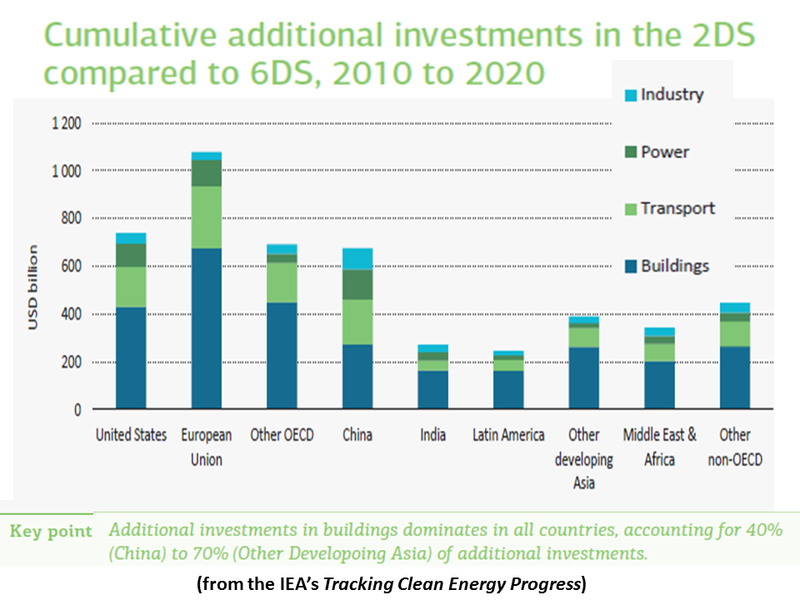 This section reviews the scale of additional investments required, but also the fuel saving benefits from transitioning to a low-carbon energy sector. In addition, the potential sources of finance and tools to unleash this capital are highlighted. Over the next decade, an estimated USD 24 trillion will need to be invested in power, transport, buildings and industry sectors in the 2DS. Investments in the transport sector represent the largest share, accounting for 34% of total investments, and globally will exceed USD 8 trillion over the next decade. Over this period, a projected 1.7 billion new vehicles will be purchased globally. 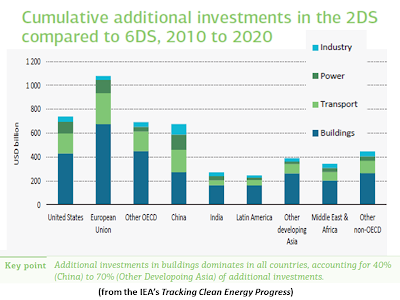 Building investments to 2020 will reach over USD 6 trillion of which just half is needed in OECD regions with significant investments for the retrofit of existing building envelopes and improvements in energy efficiency of HVAC systems, appliances and other equipment. Investments in the power sector are estimated at USD 6.4 trillion under the 2DS, of which China will account for nearly 30% of investments – equal to the combined investments of the United States and Europe. China’s economic growth is expected to remain strong over the next decade resulting in increased investment needs across all sectors, but particularly in the power and transport sectors to meet growing demand for electricity and higher vehicle penetration rates. In OECD member country regions, investments are dominated by buildings and transport, which combined make up between 65% and 70% of total investments in the next decade. Compared to the investment requirements over the next decade under the 6DS of USD 19 trillion, total additional investment needs to achieve the 2DS is projected to be USD 5 trillion or 25% above investments needed in the 6DS. OECD member countries represent over half (USD 2.5 trillion) of these total additional investments, with the European Union accounting for the largest share of any region at 22% or USD 1.1 trillion (Figure 2.1). The largest share of additional investments needs in 2DS compared to 6DS over the next decade are required in the building sector, representing more than half at USD 2.9 trillion globally. On a regional basis, buildings represent by far the largest share of the additional investment needs for all countries, accounting for 70% (Other Developing Asia) to 40% (China) of the share of total additional investments. Early investments in low-carbon building options are critical to achieving the high share of energy efficiency outlined in the 2DS. Delays in implementing these investments will result in the need for additional investments for new power generation capacity, as well as higher fuel costs in buildings and an increase in the number of people without access to reliable and affordable energy. The importance of implementing energy efficiency measures over the next decade cannot be over-emphasised. In many cases these options have short payback periods with low or negative abatement costs. Investments with longer payback periods (such as deeper renovations in buildings) will also be needed to avoid technology lock-in. For new buildings mandatory building codes with stringent minimum energy performance requirements (standards) aiming to zero-energy buildings need to be implemented. For existing buildings governments should implement mandatory annual renovation rates; and each time renovation undergoes energy requirements should be based on life cycle cost analysis. There is also a need to enforce building codes and energy requirement at the design, the construction and operation stage of the building; and stringent penalties in case of non-compliance should be defined and implemented by governments. New financing mechanisms will need to be explored. The diverse nature and large number of individual transactions in the building sector means that transaction costs associated with investment in individual energy efficiency projects in buildings can be prohibitive. A mechanism to pool individual transactions into a portfolio of energy-efficiency projects could help to overcome this barrier and governments could play an important facilitation role. 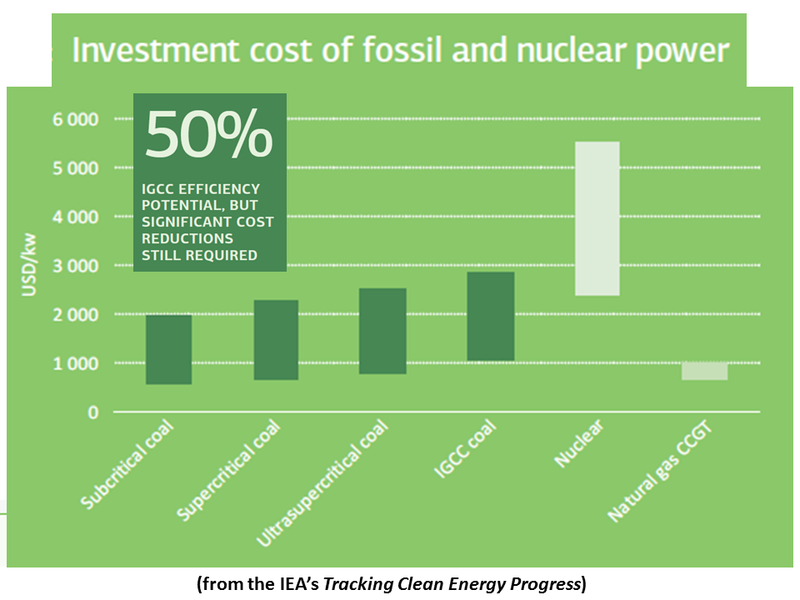 The additional investment needed to transition to a low-carbon sector will have significant benefits, not only in terms of reduced environmental damage, but also improved global energy security, as dependence on fossil fuels is reduced. 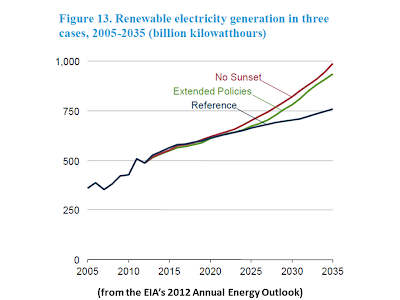 Improvements in energy efficiency will reduce the growth rate of energy consumption. The amount spent to purchase fuel will decline sharply with the switch from fossil fuels to renewables. For countries that import oil and gas, this will improve current account balances and allow foreign reserves for other uses. 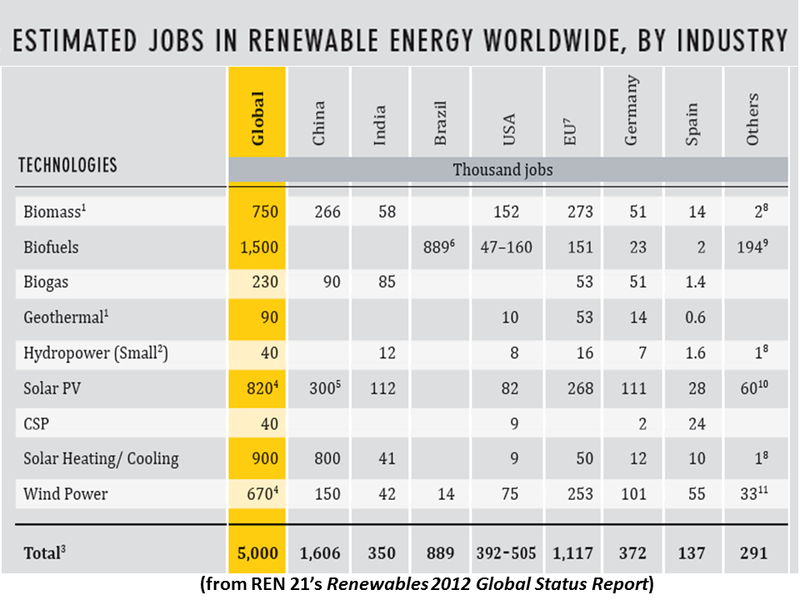 In addition, the transition to a low-carbon energy sector will also yield significant health and employment benefits. The move away from traditional fossil-based energy technologies will result in significant fuel savings with reductions in the purchase of oil, gas and coal. 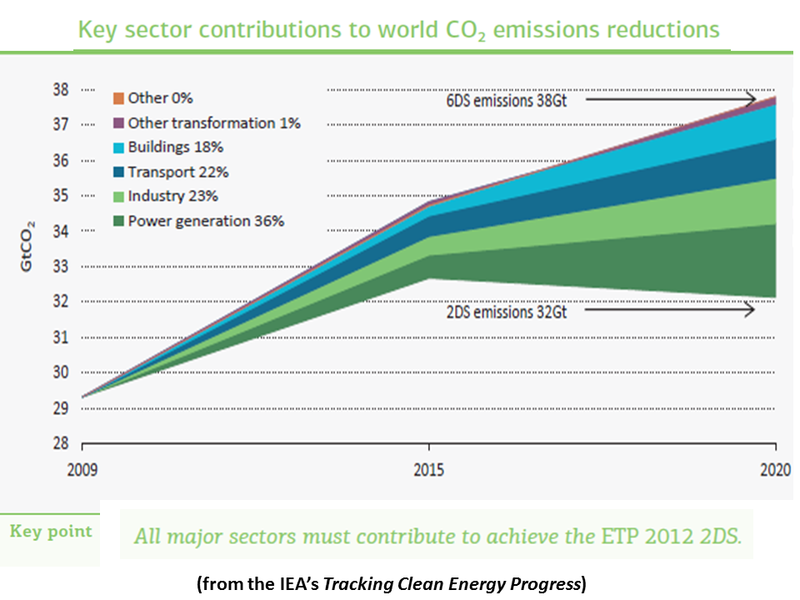 An estimated USD 4 trillion will be saved in the 2DS from lower fossil fuel use and an additional USD 0.2 trillion will be spent on additional biomass for a net fuel savings of USD 3.8 trillion between 2010 and 2020. In energy terms, this represents a 10 600 Mtoe reduction in fuel purchases to 2020. 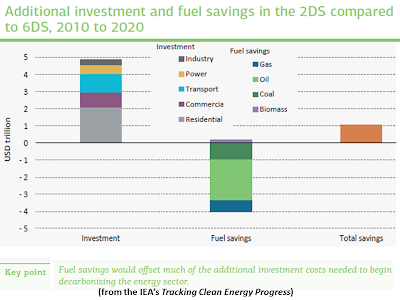 Over the longer term higher fuel savings will significantly offset the additional investment requirements in 2DS. An important challenge will be to shift investment patterns towards higher capital-intensive technologies with lower fuel inputs. In the buildings and transport sector, individual consumers often do not adequately value the benefits of reduced fuel costs in the future and focus more on the higher upfront costs (Figure 2.2). Of the USD 212 trillion in global capital markets, more than half are assets of the global fund management industry (McKinsey, 2011). The industry can be split into conventional fund assets, typically managed by pension, mutual and insurance funds, and unconventional fund assets comprised of wealthy individuals, sovereign wealth funds and hedge funds. These investors had combined assets of USD 117 trillion at the end of 2010, with conventional assets rising 10% to reach USD 79.3 trillion and unconventional assets rising 12% to USD 37.7 trillion (Figure 2.3). Since 2000, assets under management of conventional funds have risen at a compound annual growth rate (CAGR) of over 7%, while unconventional funds (including private wealth) have risen at a CAGR of 6%. Conventional funds generally have low appetites for risk and invest primarily in liquid (e.g. exchange listed and freely tradeable) equities, fixed-income and other securities, seeking average annual returns of 4% to 8%. Pension and insurance funds invest pension contributions and insurance premiums to fund future long-term and statistically determinable liabilities. Pension funds and insurance companies have greater flexibility in making long-term, illiquid investments. Mutual funds invest capital for capital appreciation and their time horizons range from short to long-term. Because mutual funds must be ready to redeem shares on a daily basis, they have large cash reserves and are nearly fully weighted to listed equities and bonds. These investors are major shareholders in listed companies and hold significant positions in government and corporate debt. Public pension funds, like private pension funds, seek adequate risk-adjusted returns for their investments and require stable inflation-adjusted income streams. Investments in low-carbon power generation technologies, which often offer stable income streams through long-term power purchase agreements, appear to offer a good fit for these investors with relatively low appetites for risk. The average returns which these investors target vary depending on the associated risks of the different investment vehicles (Figure 2.4). It is important to note that the expected average return is based on variable performance of different investments so the actual target investors will strive for will need to be higher to achieve the indicated average returns. For example an infrastructure fund which expects returns of 7% to 10% will generally invest at 10% to 15% as some returns will be lower then their expected target. Allocation of pension funds to clean energy technologies is currently very low, at less than 1% (Della Croce R et al, 2011) with little data currently available on allocation by other investors. 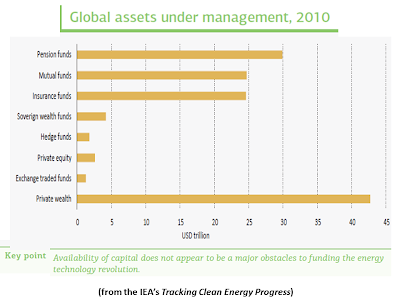 In contrast, fund holdings in traditional energy companies (most of which are primarily fossil fuel based) are estimated to be approximately 5% to 8%. Raising adequate financing for clean energy will require attracting a much greater portion of funds under management by pension funds, and other conventional and unconventional fund investors. The increased allocation of pension funds and other institutional investors to clean energy investments will occur only if the investment opportunities in these sectors offer adequate risk-adjusted returns. Pension funds cannot and should not be expected to invest in clean energy simply because it is needed by society. Government policies can correct market failures through regulations and policies aimed at filling the gap between investment risks and market barriers. They can also ensure that adequate domestic frameworks covering energy, climate and investment policies are in place to attract sufficient capital to this sector. Prior to investing in any project, investors will undertake a risk assessment of the project. A number of different risks will be evaluated by investors and cover regulatory and policy risks through to construction and markets risks (Table 2.2). Investors seek conditions in which risks can be understood, managed and anticipated (Hamilton, 2009). Policies can help to address both investment risks and market barriers to create suitable environments for low-carbon energy technologies to attract private sector finance. The ability to evaluate and manage the above risks will differ depending on the stakeholder and their experience and capabilities to properly support these risks. 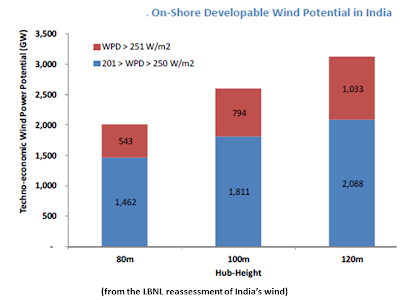 For example, in the case of offshore wind, one of the largest risks for these projects comes with construction. Offshore wind farms are still at a relatively early stage in development, and can face many different challenges during the construction and operational phases. 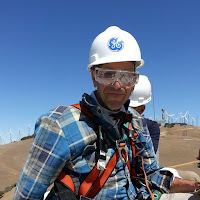 Companies that have significant experience in developing wind farms and, in particular, offshore wind farms, are particularly well placed to support the construction risk of developing offshore wind farms. Once the project construction is completed and operating, it can be sold (either in part or in its entirety) to a different actor that is equally adept at owning these assets and managing the market risks of projects in their operating phase. A range of public finance mechanisms and financing vehicles has been identified that can be used to overcome these barriers (Table 2.3). Public finance should be used to underpin and develop early investment-grade projects to allow the private sector to move into new markets, thus helping build up the technical capacity of a country. Early public-private partnerships should be encouraged, as they can help demonstrate technologies and create new markets. 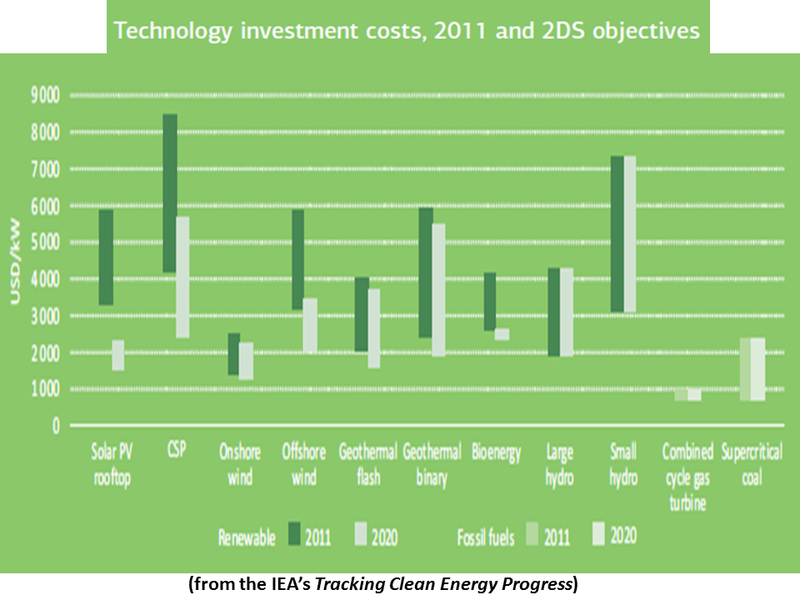 The current economic crisis has reduced the amount of public finance available to support low-carbon energy technologies. Public finance must be used as efficiently as possible and should be targted at mechanisms that can leverage high levels of private sector finance. Well-designed public finance mechanism can leverage between three and fifteen times their amount in private-sector investments (IIGCC, 2010). Well-targeted public finance mechanisms will help create an investment track record and thereby offset some of the perceived investment risk that private investors are not currently willing to support. For certain less-mature technologies such as CCS or for those which are not currently cost effective (some building technologies), where there is a larger public good aspect to developing or deploying these technologies, the role of public finance and regulation will be particularly important. Different financing models will emerge in different countries, depending on the market structure of the energy sector and maturity of the financial market. In many emerging countries, such as China and Brazil, the prevalence of state-owned development banks and state-owned enterprises will mean that the role of public finances will be much greater than in more liberalised energy markets and mature financial markets such as the United Kingdom and United States. Green bonds offer the largest potential to attract funding from institutional investors in the next decade. Bonds represent roughly 50% of holdings by institutional investors, making this asset class particularly attractive. With a value of USD 95 trillion, the global bond market offers plenty of opportunities to raise large amounts of finance for clean energy technologies. 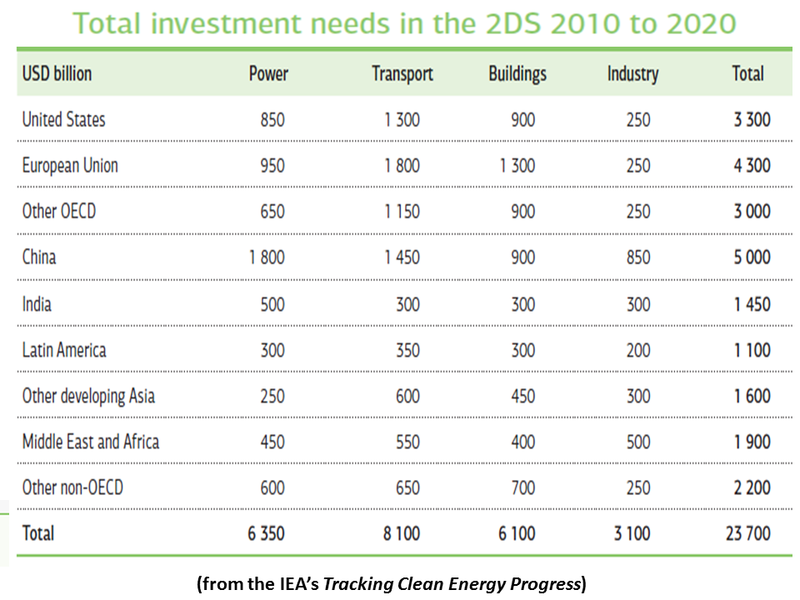 The current market size of self-labelled climate change-related thematic bonds (labelled anything from green, climate to clean energy) is, at USD 16 billion (Table 2.4), far below what is needed to create a liquid asset class that institutional investors could easily access. The largest green bond issuances to date have come from green or clean energy bond programmes by multilaterial development banks, such as the World Bank and European Investment Bank, totalling USD 7.2 billion. These bonds have received the highest AAA rating and have helped establish early confidence in the green bond market. The United States government has allocated USD 2.4 billion under a Clean Renewable Energy Bonds program to allow municipalities to finance public sector renewable energy projects22. In addition, a number of large bond issuances ranging from USD 500-850m in the United States have raised capital for wind and solar farm construction, and renewable energy manufacturers are increasingly turning to the bond markets in the absence of restricted bank lending. An estimated USD 200 billion of bonds have been identified that could be classified as climate change investment-related bonds, once asset-backed and corporate bonds are included (CBI and HSBC, 2012). Climate bonds are defined as those issued to fund or refinance climate change mitigation, adaptation or resilence projects (Climate Bonds Initiative). Included investments would range from clean energy and grid development to water adaptation and flood defense. Bonds can be issued by banks, governments or corporations. They can be asset-backed securities linked to a specific project or they can be treasury-style bonds issued to raise capital to fund a portfolio of projects. For a specific bond to have sufficient liquidity, it needs to be issued with a size of at least USD 300-400 million. Below this threshold, climate bonds will have difficulty attracting sufficient interest from mainstream markets. Institutional investor appetite for bonds is largely in the investment grade area and in large-scale issuance. A liquid market requires issuance upwards of USD 200-300 billion, made up of bonds rated BBB or higher. Qualifying as investment grade is an issue for clean energy investments, with ratings agencies typically awarding BB or lower ratings for wind and solar project bonds. A focus on issuing bonds for refinancing rather than project funding is one way of addressing this, with established projects likely to achieve higher ratings than pre-development project bonds; this would involve banks maintaining current bank debt to bond ratios of 20:1, but securitising loans within two years of development in order to avoid liquidity ratio issues involved in long-term holding of lower grade debt. Another strategy would be to bring rating agencies, investors and governments together to determine optimal means to overcome barriers. The lack of track record for large-scale climate change related bonds means that risk is seen as greater than with existing investments; this is compounded by policy being seen as the main (and volatile) sector risk by investors. ■■ Providing insurance and other guarantees in relation or policy risk. For example the German government currently provides guaratees for power purchase agreements in Germany and in some other European countries, such as Greece. ■■ Providing legislative or tax credit support for qualifying bonds. 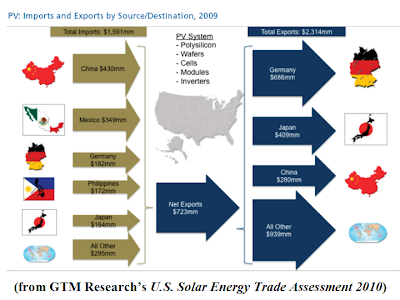 The United States for example provides tax credits for clean energy bonds and the United Kingdom derisks securitised energy efficiency loan portfolios through the legislated repayment collection mechanisms in its Green Deal legislation. ■■ Issuing government climate bonds, as Australia is doing for its Clean Energy Finance Corporation, to lend to intermediary banks to direct to energy developers. The last option is also a means of addressing problems of lack of scale, with large sovereign or multilaterial bank bonds raising funds for distribution across a portfolio of projects (CBI, 2012). Banks can issue asset-backed securities that effectively aggregate portfolios of smaller loans into institutional investor sized offerings. The market for asset-backed securities is still weak, but investment grade ratings can for the moment be achieved with partial or even full guarantees, all the while educating investors about the underlying projects in anticipation of the recovery of an asset-backed securities markets. Like utilities, large corporations can do the same, contributing to developing an investment track record for underlying assets by linking their bond issuance to low-carbon projects, while providing full and later partial credit rating through the corporate balance sheet. Over time this will allow utilities to better focus their balance sheet on the need for development of new energy infrastructure. “U.S. 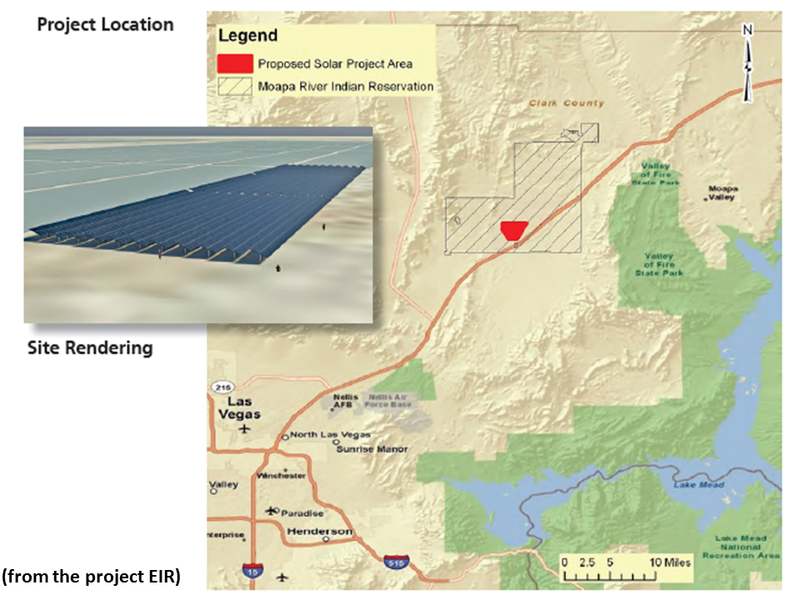 Secretary of the Interior Ken Salazar has approved a 350 MW solar energy project on tribal trust land of the Moapa Band of Paiute Indians in Clark County, Nev…the first-ever utility-scale solar project approved for development on tribal lands…[The approval specifies] construction, operation and maintenance of a low-impact PV facility and associated infrastructure on about 2,000 acres of the tribe's reservation, located 30 miles north of Las Vegas. “To minimize and mitigate potential environmental impacts, a Desert Tortoise Translocation Plan, Bird and Bat Conservation Strategy and Weed Management Plan will be implemented, and natural-resources monitoring by qualified biologists will be conducted during all surface disturbing activities. 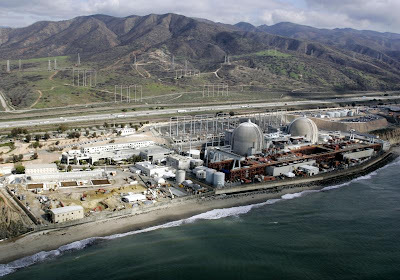 CALIFORNIA WITHOUT SONGS California energy officials plan for life without San Onofre; As officials make short-term plans to cope while the San Onofre plant is off line, they're also starting to think about the possibility of a nuclear-free future. “California energy officials are beginning to plan for the possibility of a long-range future without the [San Onofre Nuclear Generating Station (SONGS)]…The plant's unexpected, nearly five-month outage has had officials scrambling to replace its power this summer and has become a wild card in already complicated discussions about the state's energy future. “…Before the current shutdown at the plant, officials had planned only for a scenario in which one of the reactors would be off line. No one had anticipated a complete shutdown…The plant's 2,200 megawatts of power provide electricity to about 1.4 million homes, but the facility also provides voltage support to the transmission system that allows power to be imported from elsewhere…Plant operator Southern California Edison has not yet submitted a plan to fix the issues…and has said the plant will remain shut down at least through the summer…Officials said that with contingency plans in place for this summer, including temporarily bringing two retired gas-fired units in Huntington Beach back on line, Southern California should not see rolling blackouts under most circumstances. But an extreme heat wave or outage at another power plant or on a major transmission line could strain the system.